Let me give you a deja'vu. All girls would have told this sentence once in their lifetime for sure - 'My hair was great and long till my school days when my mom used to manage it and oil it and plait it everyday. 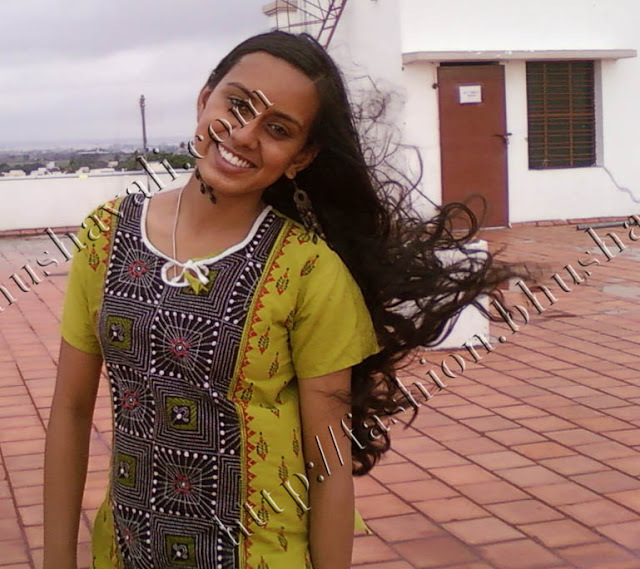 Then once I came to college started hairfall, dull hair and all disaster at a time together. Then my hair was never like before'. Touch you heart and tell me girls, how many have told this. All of us would have. All of my friends have said that to me. Well, I recently received this package of Dove Damage Therapy Nourishing Oil Care Range, as a part of their launching campaign. This pack arrived in a transparent plastic pouch with a gorgeous golden piping detail. This range consists of 4 products. First is the Dove Damage Therapy Nourishing Oil Care Shampoo. The color is white and the aroma is soft and delicate. Its neither very viscous nor very watery. This is said to contain a blend of coconut, almond and sunflower oils with a non-greasy formula. This is packed in hard plastic container and is for daily use. Next in this range is the Dove Damage Therapy Nourishing Oil Care Conditioner. This is pretty thick in consistency and comes out the tube in dual colors - golden & white. The golden color part is said to contain the revolutionary vita oils in a non-greasy formula and the white part is conditioning part that locks in nourishment and smoothes frizz. This is packed in soft plastic tube and is for daily use. Then is the Dove Damage Therapy Nourishing Oil Care Serum. This came in a plastic pump packing and was a viscous transparent colorless liquid. This is to be applied on hair before styling or simply straining it in anyway. Last is the Dove Damage Therapy Nourishing Oil Care Weekly Vita Oils Repair Mask. This comes in a tub packing. This was an off-white, absolutely oily cream. This is to be used once a week. This is to be applied in hair and massaged and let be for some time before washing off. Yes, it is indeed a long process to go one by one and follow a regimen and use all 3 or 4 products in an order. But it pays off fabulously. My hair was gorgeous after I used it. It was shiny and soft and had a soft delicate aroma. In simple words I just couldn't stop touching my hair. Going back to the deja'vu part, I dare not say, my hair got back to how good it was during school. Coz, the pollution was much less then and nothing can come near Mom's care, even if its my hair. So, no, it didn't. But for sure, my hair felt much much better. In simple words I just couldn't stop touching my hair. Here's the long n short of it. My hair a few months back before I chopped my hair totally and had a makeover. Good ya... Actually, few shampoos doesn't suit few hair textures.. This Dove din suit me.. I had terrrible hairloss after using Dove Shampoo.. So, I stopped using it!!! i really like the creativity u made in this post..My good wishes for u. Hoping u will promote this post "The Girl i loved"
Oh,your hair was gorgeous!I would love to see you grow it back!I use a few Dove products too(though not the ones you've mentioned)and I'm kind of happy with the results. great pictorials, very well penned. Hi, I would really like to get my hands on this product and try it out. But can u please tell me how to make the dove people send this to me for my blog? So true. Sunsilk Pink played a havoc in my hair, whereas that suited my roomie so well... Bad that Dove didn't suit u!!! I'm just coming to check your out!!! Great hair you had..Even I had to switch to an extremely short hair cut (after delivery)..now baby is almost 2 and hair is growing back, so kinda happy :-) so here is me wishing u good luck for the ontest..and Here is my take on the subject - http://zradar.wordpress.com/2011/11/10/the-hairy-fairy-tale/. See if you like it..
You had such nice long flowing hair. Sorry to see it cut. And your choli seems to have a cut too ! Howver the end effect is excellent. Just coming over to your blog to check your article. Great blog and nice posts..